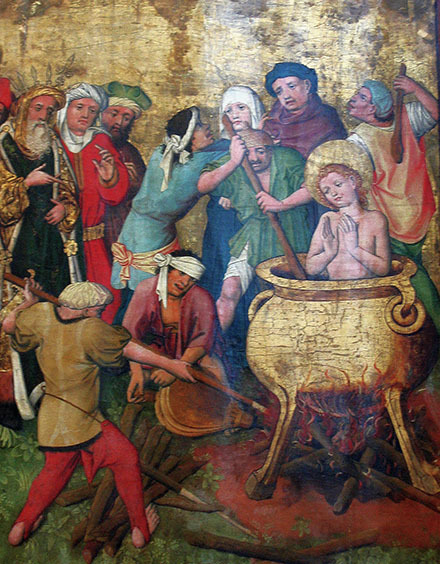 June 15 is the feast date of the early Christian saint and martyr Vitus. This story doesn’t have much historical merit, but shrines and chapels to Vitus date as far back as the 5th century so Vitus, whomever he was, had real importance to early Christians. While many places are dedicated to St. Vitus in Germany, Hungary, and Croatia, the man has red-letter treatment in Serbia — owing to this also being the date in 1389 that the Serbs’ Tsar Lazar was martyred by the Turks at the Battle of Kosovo. 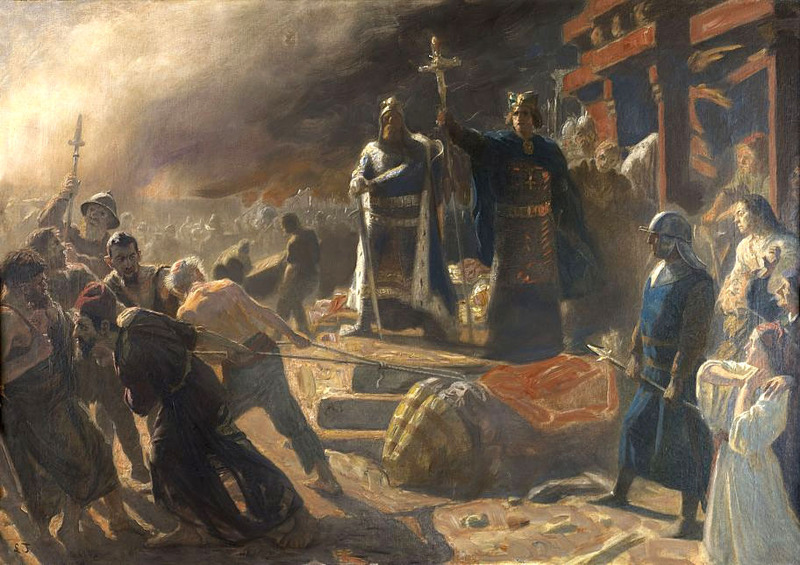 As a result, the feast date Vidovdan is a major celebration in Serbia (and to some extent Bulgaria and Macedonia), where it is observed on June 28th — the Gregorian date presently corresponding to the Julian calendar’s June 15th. The same Vitus who cheers Balkan nationalists trod a completely different path into medical textbooks. For centuries, Europeans were known to break out in curious ecstatic mass dancing, even sometimes dancing themselves to death. Generally believed today to be psychosocial afflictions, these dancing manias became widely associated with St. Vitus (his patronage includes both dancers and epileptics), whose intercession would be sought to calm the capering souls. Dancing manias stopped happening in the 17th century or so, but the link between Vitus and involuntary rollick gave the name St. Vitus’s Dance to the condition Syndenham’s chorea — which is characterized by uncontrolled dance-like movement. 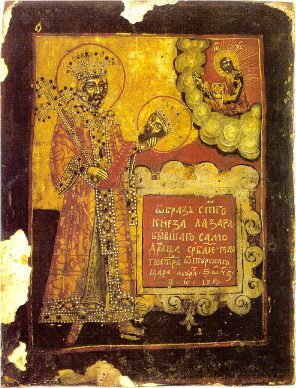 * The very Good King Wenceslaus who looked down on the feast of Stephen. ** Speculatively, Sanct Vid might have been selected for Christian veneration in this area to facilitate replacement of the similarly-named Slavic god Svantovid. An active (albeit declining) pagan community persisted in Prague as late as the 12th century.